Bengaluru-based Delvit Solutions Pvt. Ltd, which operates retail-tech platform Perpule, has raised $4.7 million (Rs 34 crore) in a Series A round led by Prime Venture Partners. Existing investors Kalaari Capital and Venture Highway also participated in the round, Prime Venture said in a statement. Perpule will use the funds to expand in 10 cities over the next year, the VC firm said, without elaborating. “Retail shopping is the next playground for disruptive innovation and is being transformed around the world, as (millennial) consumers demand a friction-free experience,” said Sanjay Swami, managing partner at Prime Venture. 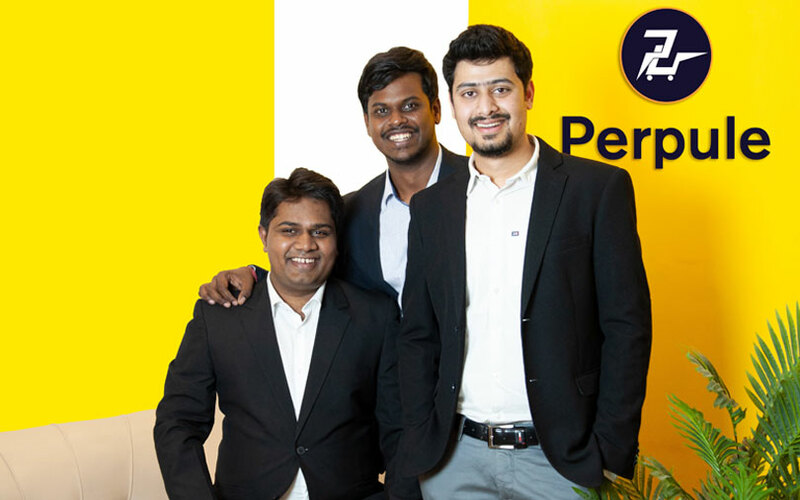 Perpule was founded by Abhinav Pathak, Yogesh Ghaturle and Saketh BSV in July 2016. Pathak and Ghaturle were working at Goldman Sachs before launching the startup. Saketh is an alumnus of the National Institute of Technology, Karnataka. The startup had raised seed funding in March last year. It had secured $650,000 (around Rs 4.2 crore then) from KStart Capital, the seed investment platform of Kalaari Capital, Venture Highway and TaxiForSure co-founder Raghunandan G.
or buy the products online. The company claims its app is used by more than five lakh consumers. The startup’s clients include Big Bazaar, Vishal Mega Mart, More and HyperCity retain chains and fast-food chains such as KFC. Vani Kola, managing director at Kalaari, said Perpule grew its customer base significantly over the past 18 months. The app is “tailor-made to suit Indian retail conditions” and adds significant value to offline retailers, she said. The company has recently launched tailor-made solutions for fast-food outlets, which include cafeterias and food courts in office parks and shopping malls. The Perpule Digital Cafeteria Solution enables users to place orders and collect food while avoiding queues. At least 20 companies are using this product, the company claimed.